Influences Policies Today. Music intro & outro by Francis Collins. 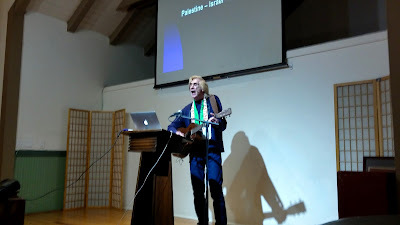 CA: “100 Years of Pro-Israel Activism & Trump's ‘Muslim Ban’: How a Special Interest Lobby Enabled the Colonization of Palestine and Influences Policies Today”. Lecture by Alison Weir, Executive Director of IfAmericansKnew.org. Alison Weir is also the President of the Council for the National Interest, and author of “Against Our Better Judgment: The Hidden History of How the U.S. Was Used to Create Israel”. 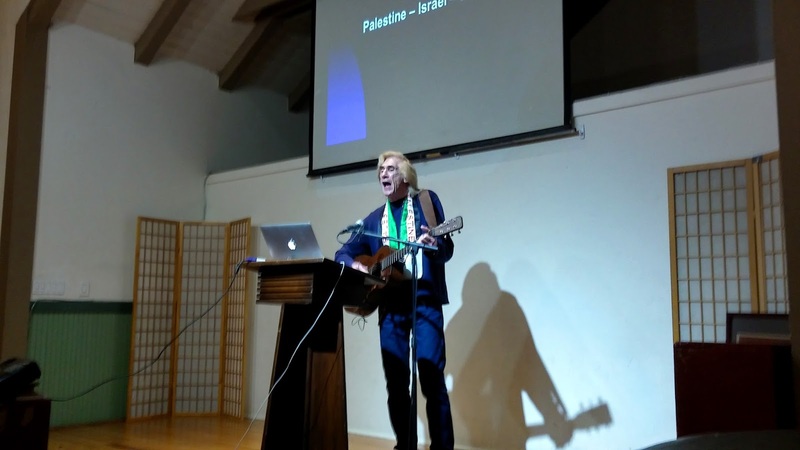 The event was sponsored by the Social Justice Committee of the Berkeley Fellowship of Unitarian Universalists at Cedar & Bonita in Berkeley. Henry Knorr Defends Alison Weir from JVP Attacks on "Voices in the Middle East" Radio Show on KPFA Pacifica Radio SoundCloud Move the bar forward to the 38:00 minute mark to hear Henry Knorr, who is an American Jewish Bay Area activist against the 6 decade Apartheid Occupation of Palestine. He is also a member of JVP. He calls it a “demonization campaign” against Alison Weir and IfAmericanKnew dot org. He also admires Alison for “not just talking to the choir”. He is disgusted with the secret dossier compiled on her, and how an umbrella group named The US Campaign to End the Israeli Occupation of Palestine was led to expel her due to the slander campaign. The real problem is that she stands against Zionism as a supremacist political ideology. 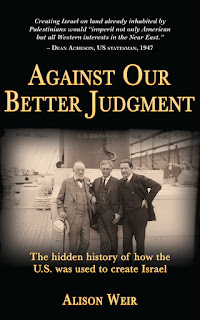 He talks about her book Against Our Better Judgment about the Israel Lobby and how it is based to a large degree on academic histories by Jewish historians, thoroughly documented, "not kooky stuff", maintains Henry Knorr. which is used as the intro and outro for this hummux made video. 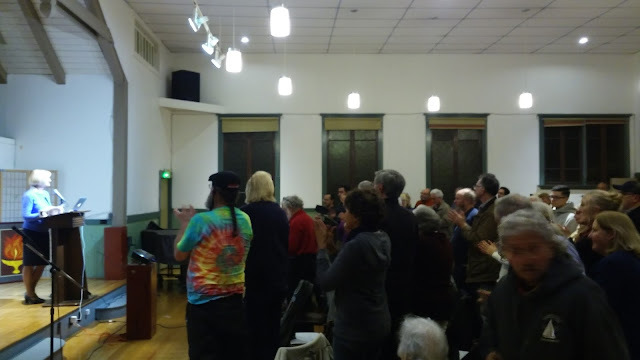 Social Justice Committee of Berkeley Fellowship of Unitarian Universalists. commentary and standard disclaimer by Cynthia Jean Johnson and Vic Sadot. 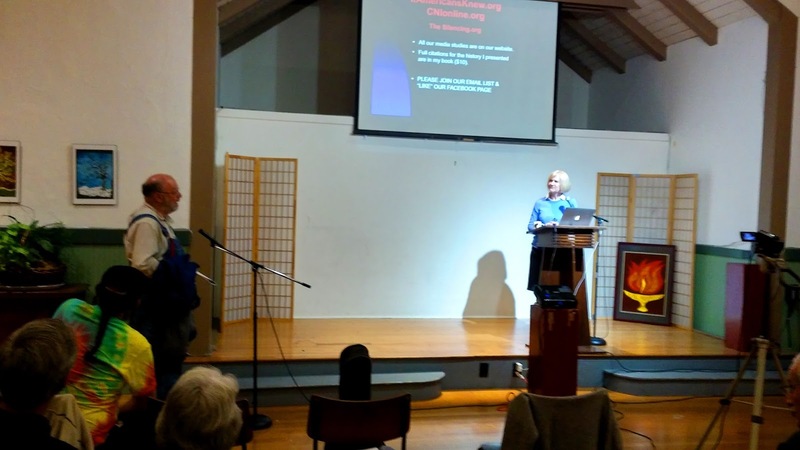 Alison Weir Feb. 16, 2017 Full Length Berkeley Lecture & Q&A! “100 Years of Pro-IsraelActivism & Trump's ‘Muslim Ban’: How a Special Interest Lobby Enabled theColonization of Palestine and Influences Policies Today” (1:55:57) at No Lies Radio YouTube Channel. Lecture by Alison Weir, Executive Director of IfAmericansKnew.org. Alison Weir is also the President of the Council for the National Interest, and author of a new book, “Against Our Better Judgment: The Hidden History of How the U.S. Was Used to Create Israel”. The lecture is about 60 minutes long, and the rest is the Q&A session. AlisonWeir Berkeley lecture: 100 Years of Pro-Israel Activism and Trump's"Muslim Ban" (58:00) Published on Feb 28, 2017 at IfAmericansKnew YouTube Channel.